The Clubs based in the Inner and Outer Moray Firths are co-operating through an informal grouping called the Moray Yacht Axis to promote yacht racing. We all agree to try to promote and engage in each other regatta’s additionally there are races based around Cromarty. 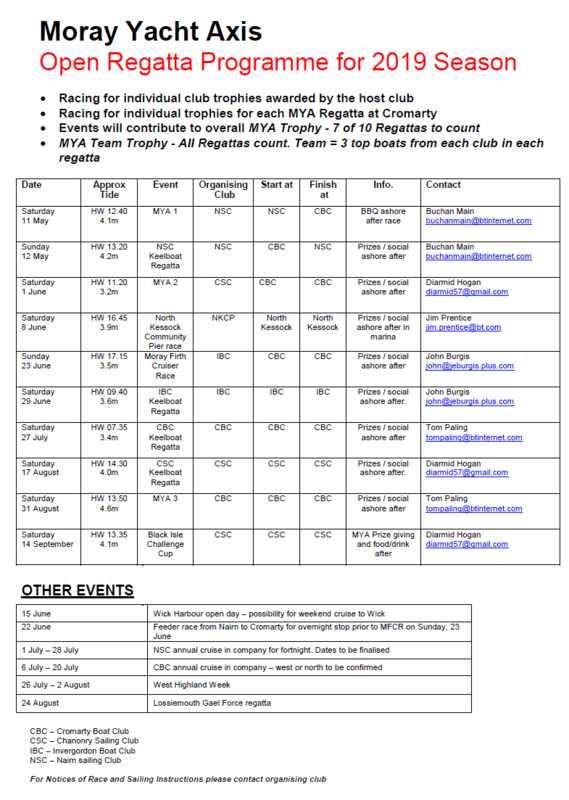 Click the image to access the programme in pdf format.